I have two hens setting, one nest of Saxony duck eggs and the other of Buckeye chicken eggs. 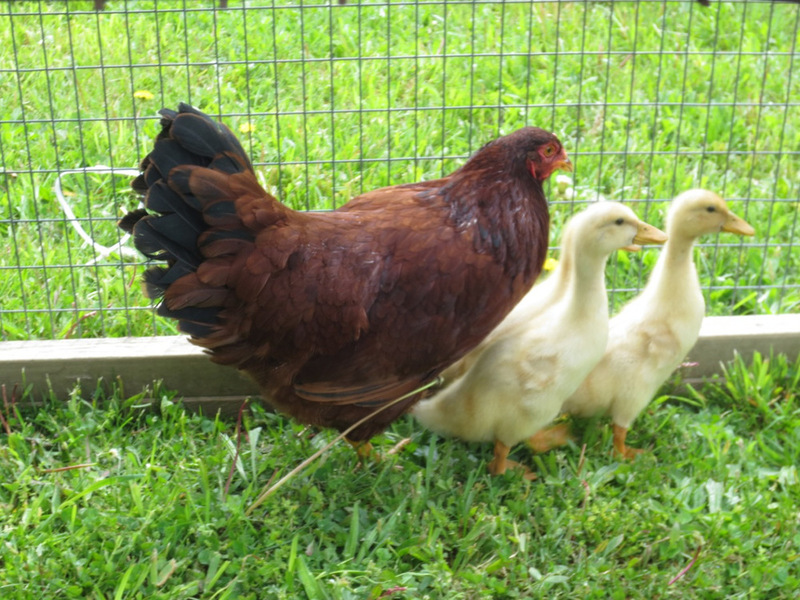 I like to have a hen raise ducklings in an open bottomed pen, keeping the babies warm and tended until they feather out. An open bottomed pen on grass is so much cleaner than the raised mesh floor in the barn pen and the mess of duckling splash enriches our thin soil. As long as the hens stay broody this summer, I will continue to set nests of duck eggs. Come July I will evaluate the success of my hen-raising-duck scheme and decide if an incubator full of duck eggs is necessary to fill the freezer. The nest of Buckeyes is also necessary to hatch replacement layers, roosters and chicks for sale. 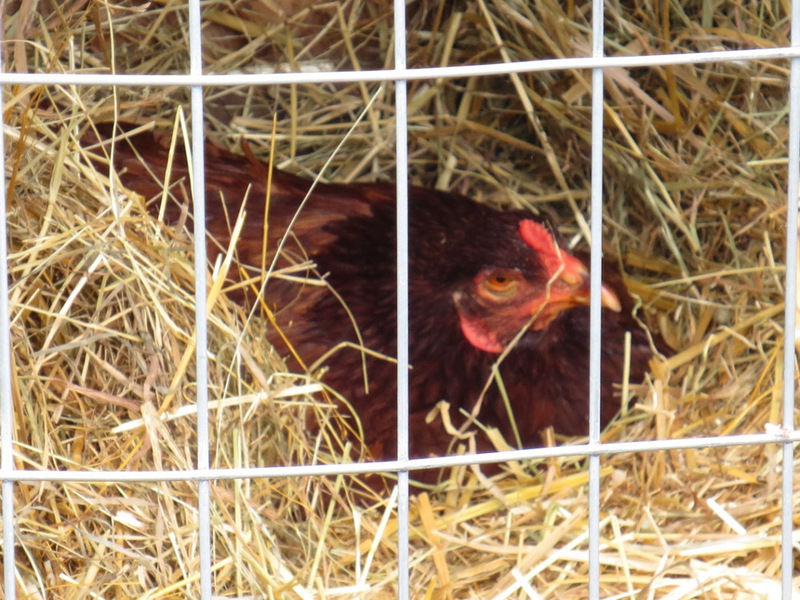 Broody hens do not lay eggs so chicken eggs are scarce but the ducks keep the egg bowl full for breakfast and baking. Perhaps I should keep a larger flock of layers next year with an eye towards naturally hatching ducks for our freezer.